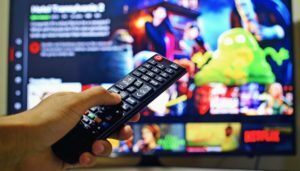 Households in developed countries are set to have at least three separate TV and video subscriptions by 2023, as teenagers increasingly become account holders alongside the adults they live with, according to Deloitte. On average, UK children receive £11.20 in pocket money each week, while pay TV subscriptions tend to start at around £5 per month. Due to this, Deloitte expects more and more teenagers will become responsible for their own subscription video on-demand (SVOD) services. In addition to the increasing number of teenagers with their own subscriptions, Deloitte predicts that viewers aged 50 and over will watch 15 per cent of all TV content on-demand by 2023. The rise of on-demand viewing in older age groups is expected to be driven by ease of use, improvements to connectivity, and influence from younger consumers within their families.